One of the biggest questions I had about Smartcars was did I really get great gas mileage? 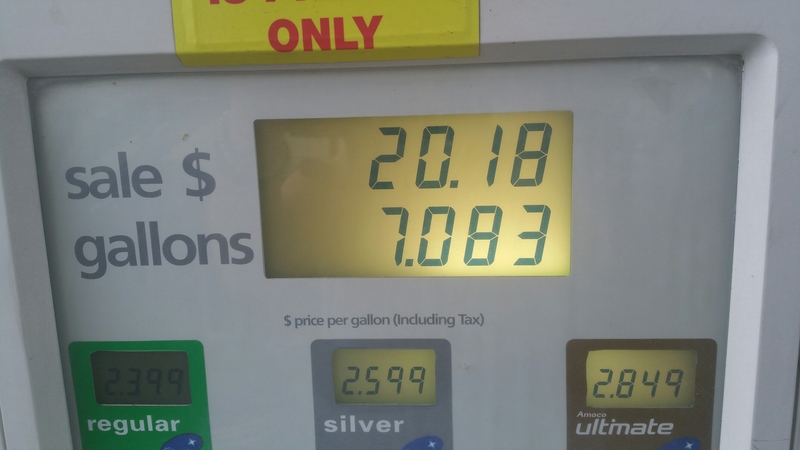 Ice decided to keep track of every gas fill up and the mileage per tank for the next year so we can all see the answer together! The bottom number is how many miles I went on 7.083 gallons of gas (so 335.3 miles). The top number is how many miles I could go on a tank (approximately so 3r5 miles). There were 65 miles on the odometer when I drove it off the lot, and the dealership had just filled the tank but didn’t reset the trip miles to 0. 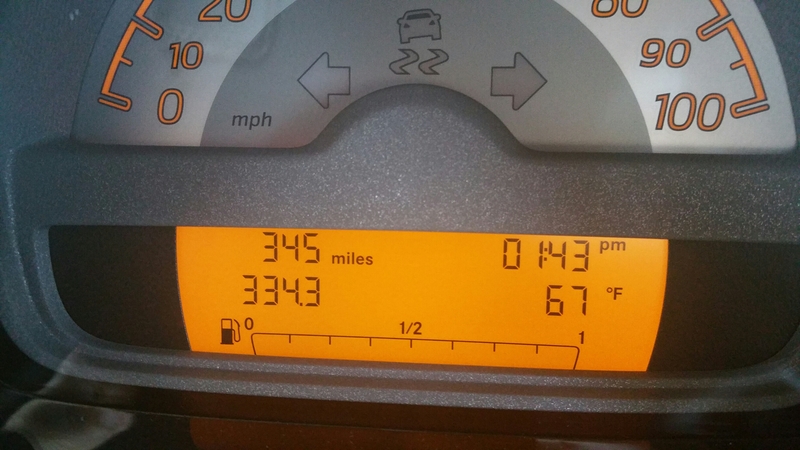 335.3-65 = 270.3 miles on 7.083 gallons of gas = 38.16 mpg!